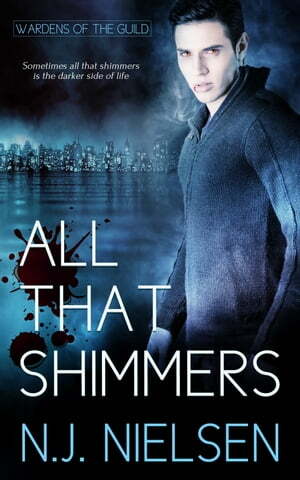 Collins Booksellers - All That Shimmers by N.J. Nielsen, 9781786515803. Buy this book online. When the only world he’d ever known changed, Eric Meyers had to change along with it. Now he needs to figure out his next steps, especially when it comes to Tagh. Things get even more confusing when he starts dreaming about a man he doesn’t even know. Tagh’s recovery from battle wounds isn’t helped when he has to face Eric’s continuing doubts. If that’s not bad enough, he also has to deal with more of his kind turning up and what it all means. There are zoos out there filled with people, people who shouldn’t even be there—people who need rescuing. Jory has been held captive in one of these hellholes for the last few years. His dreams of Eric, a man he’s never met, give him hope that help is on the way, but the waiting is hard. To save the others, Jory stands up to their jailers. The only problem is that he is just one against the many.